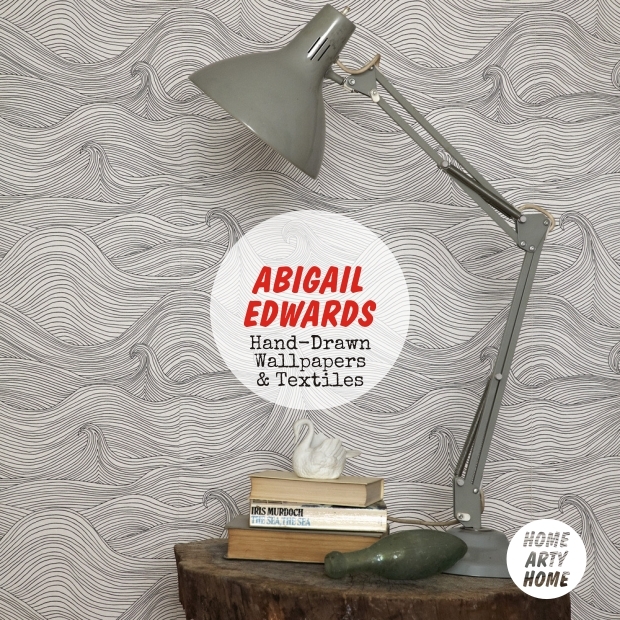 Home Arty Home loves all things hand-drawn so these new wallpapers and textiles by designer & artist Abigail Edwards made me sit up and take notice. 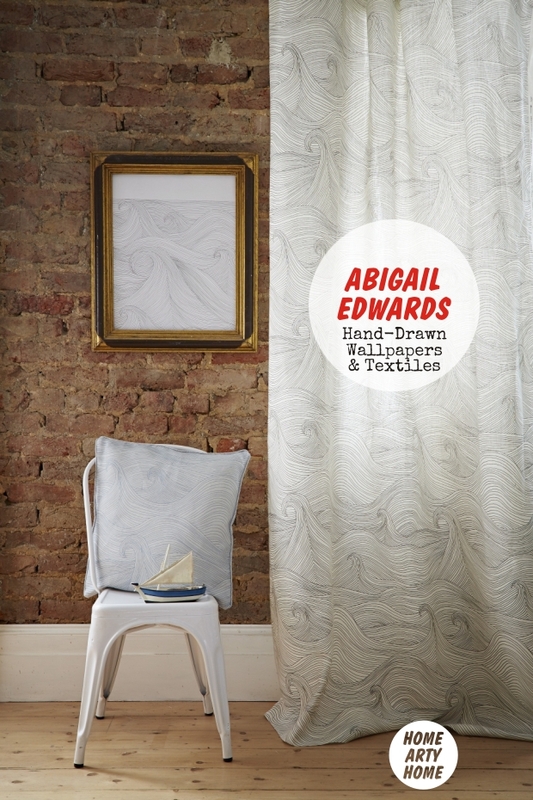 Inspired by nature, the new collection includes hand drawn illustrations of decorative feathers, rolling waves and twisted brambles bringing the great outdoors into the home. 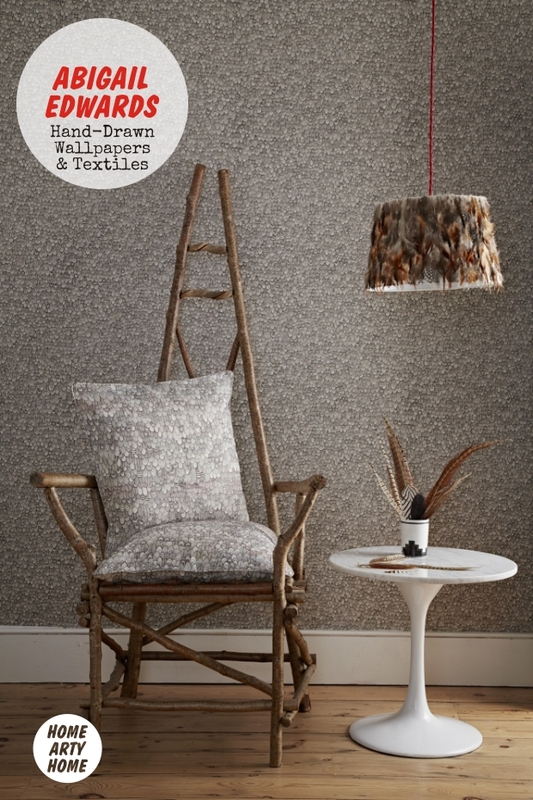 Hand drawn over a layered watercolour base, the Bird design is inspired by the assorted patterns found imprinted in the feathers of both the male and female pheasant, creating a contemporary textural effect on the wall. 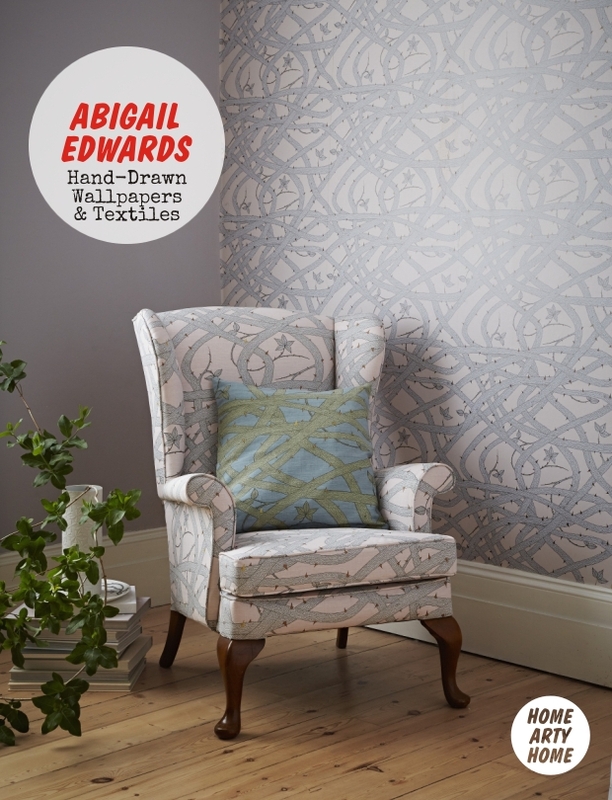 Brambleweb is a hand drawn design of never-ending tangled brambles with metallic thorns, creating art nouveau shapes with a slightly gothic edge, whilst Seascape is a contemporary and fluid line-drawing on a white background inspired by the rolling waves of a tempestuous sea designed to flow across walls. 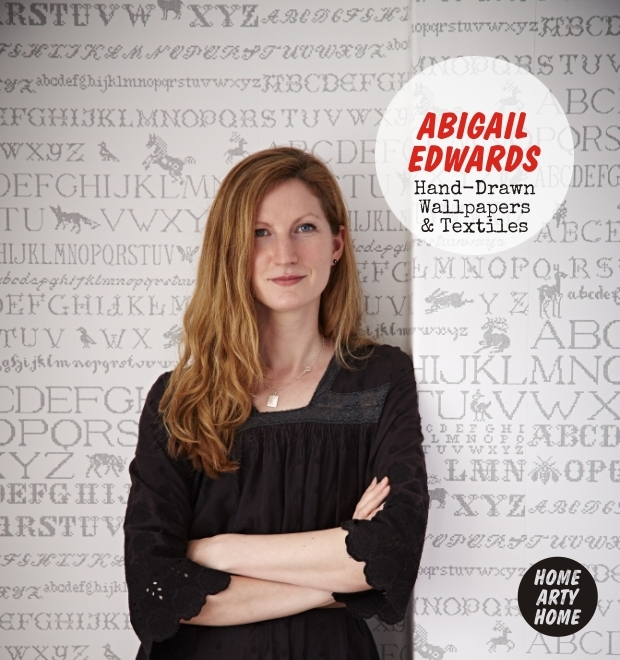 The wallpapers by Abigail Edwards, pictured here against her cross-stitch alphabet, are all made in the UK in one of the last remaining wallpaper manufacturers in Lancashire. 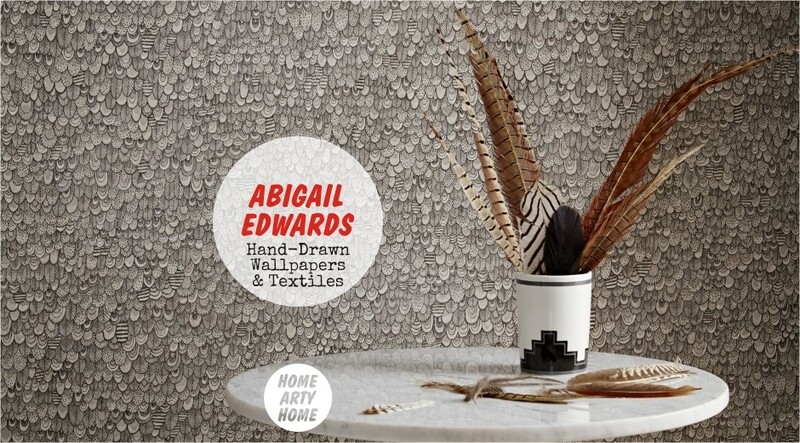 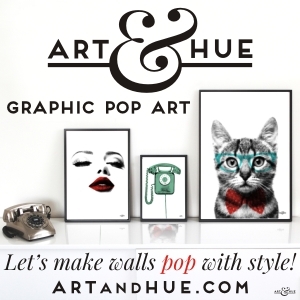 Ranging from £59 to £78 per roll, all wallpapers are available directly from Abigail’s website Abigail Edwards.